The European Food Safety Agency (EFSA) recently released its reassessment of glyphosate, the main ingredient of Monsanto's weed-killer, Roundup. EFSA found that glyphosate is unlikely to be carcinogenic or genotoxic (damaging to DNA) - a conclusion loudly applauded by Monsanto. The EFSA report is in direct conflict with recent findings by another body, the World Health Organization's International Agency for Research on Cancer (IARC) which reviewed glyphosate cancer risks and released its findings earlier this year. The two bodies came to almost opposite conclusions on the cancer risk. IARC found that glyphosate "probably" causes cancer in humans (Group 2A). The dramatic inconsistency between the EFSA and IARC cancer reports spurred 96 prominent scientists from 25 countries to voice strong opposition to the EFSA report. Their letter to the European Commission states that the IARC decision is "by far the more credible," and urges the European Commission to "disregard the flawed EFSA finding on glyphosate." How can EFSA and IARC experts both look at the same scientific studies and come to completely opposite conclusions? And, why should we care? The EFSA report is based on findings of the German Federal Institute for Risk Assessment - the BfR - which received a first draft of the science directly from the Glyphosate Task Force (GTF), whose members include Monsanto and Syngenta and other agrochemical corporations. 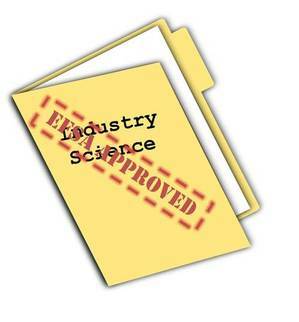 EFSA describes its process as standard procedure to have the agrochemical company supply the scientific information to the Member state (Germany and Croatia in this case), whose report then goes to EFSA to make a final evaluation. The Guardian reported on how compromised the process was: "BfR officials explained that due to the quantity of evidence they did not have the time to report the original studies in detail, but instead based their evaluation on descriptions provided by the agrochemical industry. But those descriptions also contained the industry's assessment of the reliability and interpretation of each study, which involves exactly the kinds of choice-laden decisions described earlier... this falls well short of what most people would understand as an independent review." So, we know that Monsanto and other companies provided their own assessment of the scientific evidence, much of it industry-sponsored unpublished studies, and then handed that pig off to Germany for some lipstick. In contrast to the industry-dominated job relied upon by EFSA, IARC conducted an independent and extensive review of all the publicly available evidence linking glyphosate to cancer. IARC is specifically qualified to conduct such a review. IARC has been conducting such reviews for forty years, and has evaluated hundreds of chemicals. IARC is considered an authoritative body by governments around the world, and non-industry experts testify as to its integrity and scientific credibility, often in the face of harsh criticism from the industries whose products are being reviewed. EFSA's report not only recommends re-approval of glyphosate, but also raising the acceptable daily intake (ADI) for people's everyday exposure to glyphosate (from 0.3 to 0.5 mg/kg-day), including through residues on food. The report recommended that an acute Reference Dose (aRfD) for glyphosate be established, but set it at the same level as the ADI, thereby supporting higher exposure limits and weaker health protections for both acute and chronic exposures. EFSA's report will now feed into a process in Europe that will decide whether or not glyphosate will remain approved (re-authorized) after 2015 for another 10 years. The next step is a presentation to the Member State Standing Committee (December 2015), and then early in 2016 the European Commission will present a proposal for re-approval, which will be voted in the Standing Committee and then the Commission makes the final decision. What should Europe do? According the European pesticide regulations, "evidence of genotoxicity essentially precludes approval of a pesticide, although exceptions are possible (see Annex II of Regulation [EC] No 1107/2009)" (Clausing, 2015). This means that regulatory action based on the IARC report should lead to a ban or limit on glyphosate use, to prevent cancers and other adverse health effects. On the other hand, if EFSA and Monsanto win the day, then glyphosate on food crops will continue and likely expand. Meanwhile, the U.S. Environmental Protection Agency (EPA) says it is in the process of conducting its own review of glyphosate but it is behind schedule. According to EPA's timeline in its Glyphosate Final Work Plan (2009), the agency had planned to have its Preliminary Risk Assessment out for public comments in early 2014 and its registration review for glyphosate was scheduled for completion in 2015. So far, none of this has happened. Despite the fact that EPA has not completed its risk assessment, in the last year the Agency approved a new product by Dow AgroSciences called 'Enlist Duo' that contains a mix of the herbicides glyphosate and 2,4-D. EPA approved it without re-evaluating the accumulating evidence of human health and environmental risks, including cancer (see blogs by NRDC experts, Drs. Kristi Pullen and Sylvia Fallon). NRDC brought a lawsuit challenging EPA's approval of Enlist Duo last year (October 2014). NRDC subsequently joined other public interest groups in sending a letter to EPA urging the Agency to consider the cancer risks of glyphosate (based on the IARC report), and again asking EPA not to approve Enlist Duo (Letter, March, 2015). Now, in a sudden and welcome about-face, EPA has asked the court to nullify its approval of Enlist Duo based on information in the patent application that the two herbicides in combination are more toxic to weeds than each one alone (synergistic effects). EPA says it overlooked this information initially, but now believes that current approved uses may not protect non-target plants including endangered plants (details here). While it is great news that Enlist Duo is almost certainly coming off the market, EPA still allows both active ingredients to be widely used in agriculture: about 40 million pounds/year of 2,4-D is used, mainly on pasture and hay, wheat, corn and soybean crops; about 300 million pounds/year of glyphosate is used, mainly on corn and soybean crops. EPA needs to draw down the use of these chemicals, to protect people from cancer and other adverse health effects, and to protect the critical habitat that supports wildlife. "limited" evidence from epidemiologic studies of people, particularly pesticide applicators and farmworkers. Ironically, both the German BfR report and the EFSA report are quite damning of glyphosate-based formulated products like 'Roundup'. The EFSA report emphasizes that the tallowamine ingredients are more toxic than glyphosate for acute, short term, reproductive, and developmental toxicity, and that there is some evidence of DNA damage in vitro at high doses (EFSA 2015). Nonetheless, EFSA dismissed these data with the excuse that the exposures were not only to glyphosate, but also other ingredients in the products. Since in practice it is the formulated product - with glyphosate and the other ingredients - that winds up on our fields, lawns, parks, school grounds, and golf courses, the evidence that it may cause cancer should have been emphasized in EFSA's recommendations regarding glyphosate, instead of parsed out and disregarded. Although the EFSA report regards the epidemiologic evidence of cancer as "limited" for Roundup and "very limited" for glyphosate (EFSA 2015), EFSA has no pre-defined definitions for what this means, or what public health decisions it should lead to. This is in stark contrast to IARC's use of internationally accepted methods to support its overall cancer classification (see IARC preamble, page 19). EFSA said that the studies showing adverse effects were only statistically significant in a trend analysis, but not in pair-wise comparison. This is not an appropriate reason to discard results, since both IARC and OECD guidance endorse both pair-wise and trend tests for statistical significance. EFSA said studies showing adverse effects were cancelled out by the lack of consistency in studies that failed to show effects. This is like saying if we reach into a haystack ten times and find a needle five times, we can conclude that there are no needles in the haystack because the five times that a needle was detected is cancelled out by the five times that no needles were detected. EFSA said that the tumors in the animal studies were within the range of tumors in untreated animals based on historical data of tumor occurrence over many years for that animal. This is not an appropriate reason to dismiss evidence of cancer, since according to IARC and OECD guidance the effects in treated animals should be compare with effects in the untreated (control group) animals from the same experiment - that is the only way that we can know that both the treated and control animals were treated exactly the same in very other way except for the chemical treatment (for example, same food, same feeding schedule, same light/dark cycles, same bedding, etc). An excellent detailed summary of the EFSA report gaps and deficiencies is provided by Dr. P. Clausing (2015). Nature magazine also reported on the debate, and the differences, noting the lack of transparency in the EFSA process (Nature 13 Nov 2015). All steps of the risk assessment should be transparent to the public. This means that it should be both understandable and reproducible. EFSA should use accepted terminology and follow internationally established guidelines and standards for conducting cancer assessments. Risk assessments should be conducted according to transparent and accepted standards of best practice. In conclusion, to protect human health, regulatory agencies must address the cancer risk posed by glyphosate and its formulated products like Roundup.